Try a TriathlonThis event is free for your FIRST EVER TRIATHLON. Men and women of all ages and children from 12 years of age can participate. XTERRAXTERRA is returning to Australia! It's time to get Dirty! The biggest name in off road triathlon is here. Event Exhibitor ApplicationAre you interested in becoming an Event Exhibitor? Find all the details you need here. Local PartnersIf you are a local business at an event location, we'd love to work with you to promote the local area. HistorySince humble beginnings in 1999, we have become the go-to-team for delivering successful mass participation and multi-sport festivals across the country. EE AmbassadorsThe hand-picked athletes who reflect what Elite Energy is all about. NewsAll the latest news, tips and triathlon conversations. The 12km the classic distance to test yourself, runners (or walkers) will take in the coastal views along this fast rolling point to point course. Starting at Gerringong SLSC and ending at Kiama SLSC this point to point run will be a favourite for those looking for a fast time or looking to step up their distance on this picturesque course. 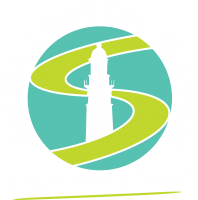 Perfect for those runners and walkers that are still working their way up to the 21km Kiama Coastal Classic, or those that really want to pit themselves off against their mates. Two shuttle buses will run between Kiama & Gerringong on the day. Exact times will be advised closer to the event. Shuttle Bus Tickets are available to purchase for $10 with your registration. Walkers are most welcome to join in the 12km, but prams and wheelchairs are not suitable for this course. Minimum age for 12km is 12 years old on day of event. Collection of your Registration pack is compulsory for all individuals Entrants. These can be collected from the Registration Marquee at Kiama SLSC on Sunday morning. Please bring Personal ID – this is very important for registration! Can be accessed via the Results link at the top of the page. Results will be uploaded as soon as possible after the completion of the event. We try our best to give each participant the best possible sporting event experience.